This Sunday, Swiss voters get to decide on whether to elevate cycling to the same status as hiking and driving. 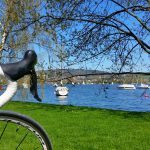 Currently, Switzerland’s constitution mentions roads and hiking trails, but not cycling lanes, something cyclists would like to see changed. 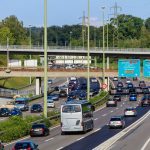 Many cities and communes already have cycle paths, however in many places they are forced to share roads with cars, trucks and buses, increasing the chance of accidents. Concerned cyclists brought the issue to the attention of government by organizing a popular vote. The government responded by proposing an alternative plan, which the initiative’s organizers accepted. This alternative plan is now being put to voters. The plan would change the constitution to treat cycle paths in the same way as it treats footpaths and hiking trails. However, it stops short of forcing changes at a cantonal level. 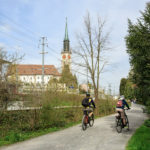 The federal government would support the cantons and communes with measures such as nationwide standards for cycle paths or geodata for maps and apps. A majority of the government is in favour of the vote if somewhat divided, with 115 members of National Council for it and 70 against it.